Thank you Paul for writing to us and sharing your experience. We love hearing from our ADI and Australian Outback community. Paul captured a photo of a 3 shot group 223 Remington using ADI powders and Sierra BlitzKing projectiles at 100 metres. Using ADI Word Class Powders (Benchmark 8208) and ADI unprimed brass Paul was able to achieve a group size of 0.240 inches. 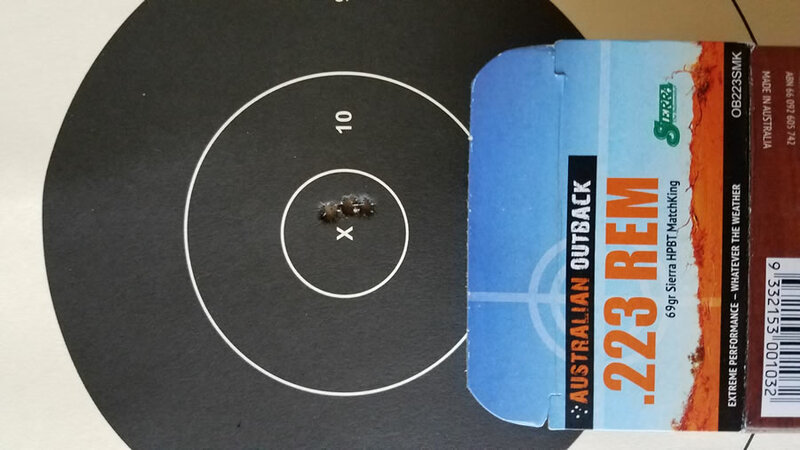 This is the same 55gr Sierra BlitzKing projectile we load in our sub-MOA Australian Outback factory ammunition. I use ADI powders and components in all my rifle bar one load in my 300WSM. This is a great result for a hunting rifle. Thanks again Paul. We appreciate you supporting our Aussie made products. If you would like to share your experience please use the contact form. The Australian Defence Force has confirmed their decision for Thales Australia (as Australian Munitions) to continue munitions manufacture for long term ADI Propellant supply. This announcement provides hundreds of highly skilled regional Australian workers in Benalla and Mulwala guaranteed job security. 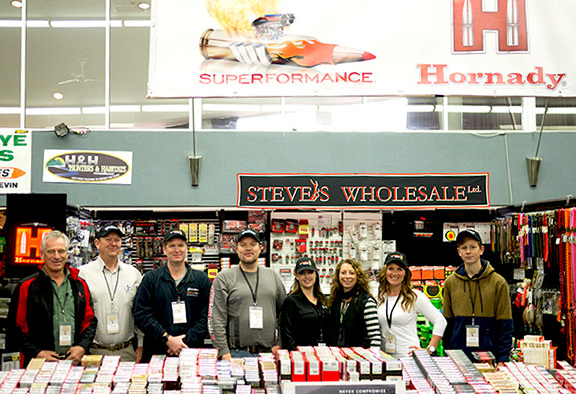 ADI Propellant and Australian Outback Ammunition were both on sale at Steve’s Wholesale stand at the first NZ SHOT expo held in Auckland on 17-18 February 2018. It was a privilege to be able to chat with and answer questions from our NZ customers. 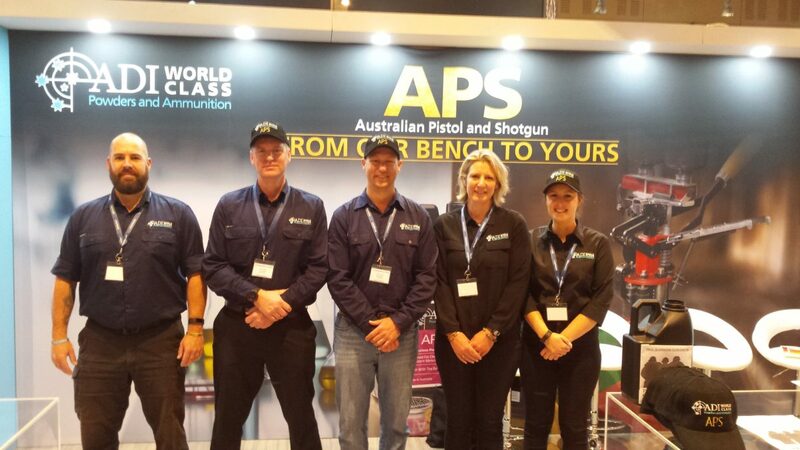 Our ammo and propellants were hot sellers and there was a lot of interest in the first of the Australian Pistol and Shotgun (APS) samples – APS350 and APS450 – from the new propellant facility. 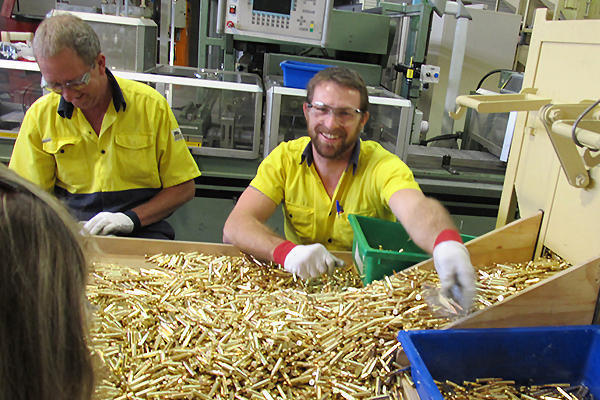 Australian Munitions is excited to introduce the first of our new single based flake Australian Pistol Shotgun (APS) propellants. It has been manufactured from the new Mulwala propellant facility for use in the civilian market – ADI World Class Powders APS350 and APS450. Thanks for writing to us Dennis – we love hearing from our ADI community. 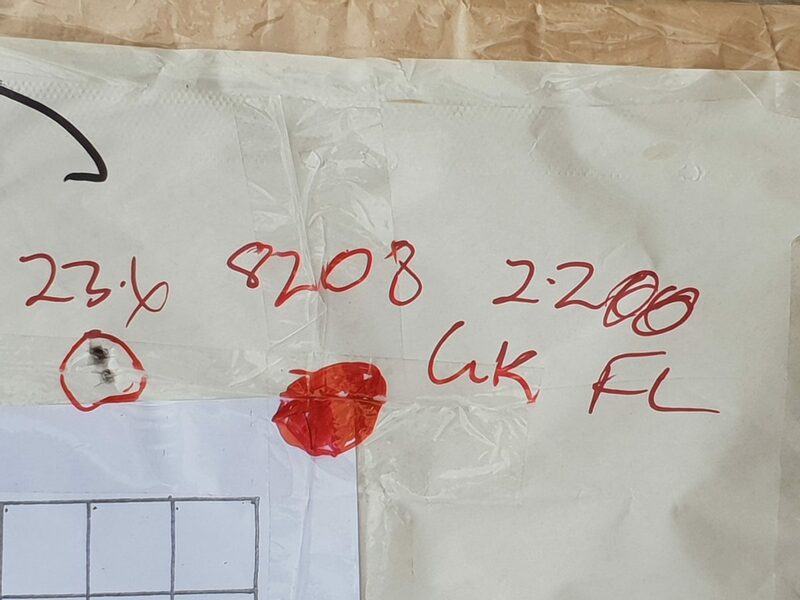 We will send you something special in the post. 308 and 223 Back in Stock! ADI is excited to announce that our very own Australian Outback is back in production at our factory and will be appearing back out in gun shops around Australia. 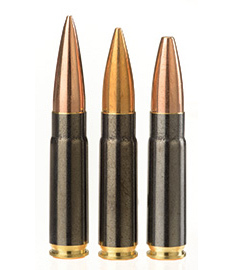 This ammo will be distributed by OSA, and should be flowing out to your local dealership over the next month or two. 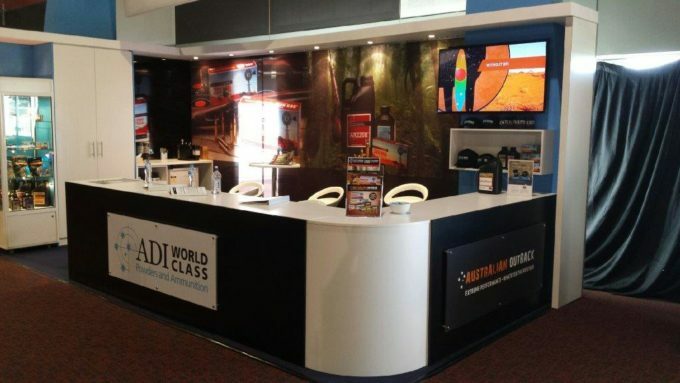 To find out where your closest Australian Outback stockist is please click here. If your local stockist doesn’t have any in stock we recommend asking them to put your order on back order to ensure it is included in their next delivery. 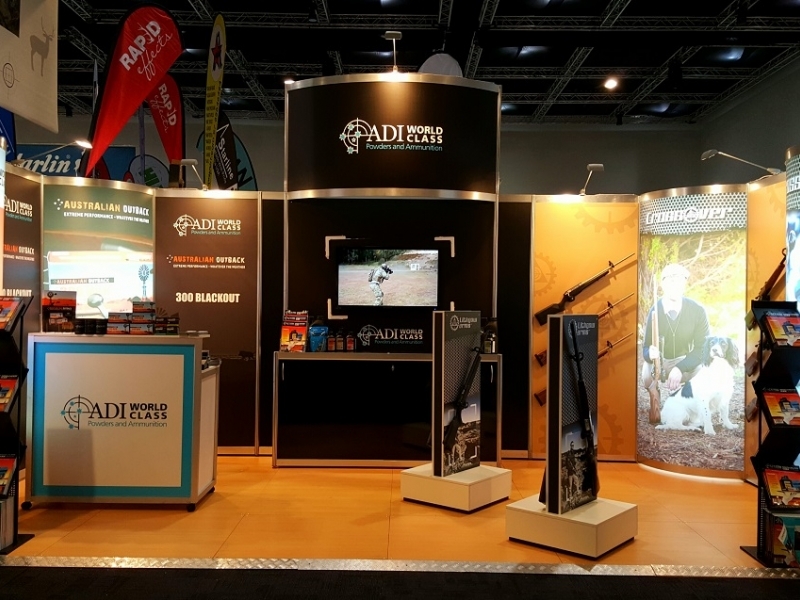 Last month Australian Munitions participated in Melbourne SSAA SHOT Expo, the Sporting Shooters premier Industry event which showcases shooting, hunting and outdoor trades to enthusiasts. Official attendance for the event was over 17,000 which was a new record. 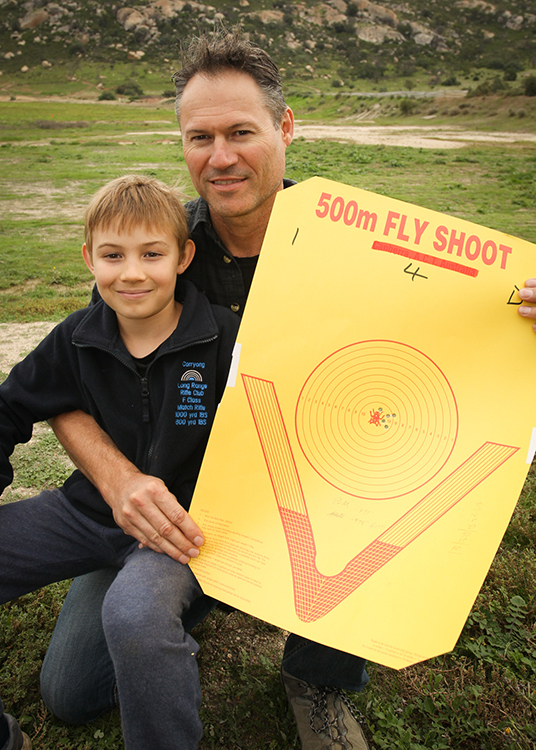 ADI World Class Powders and Ammunition sponsor the 2017 SSAA National Fly Shoot Championship, SSAA Eagle Park range at Little River, VIC 28-30th April. We love hearing from our ADI customers from all around the world. Most recently Joe from NY who shot this magnificent 5 round group at 100yds at the Blue Mountain SportsmannsCentre. 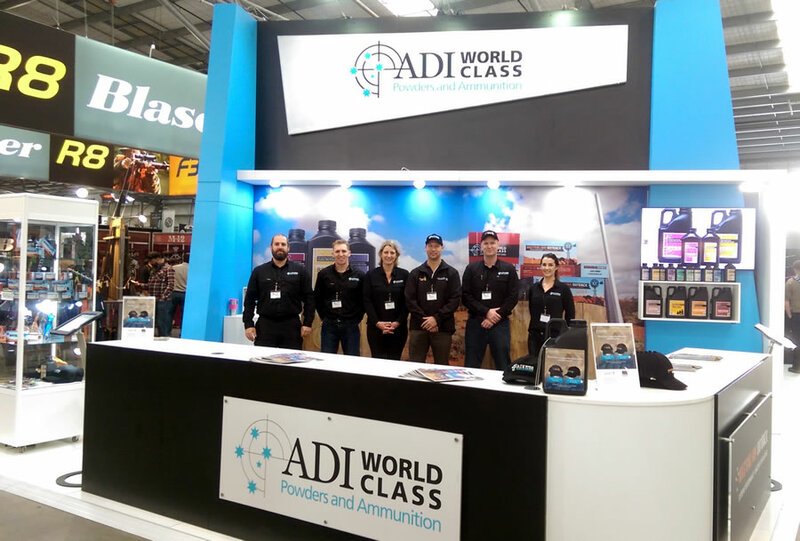 The team at Australian Munitions says thank you to all the customers and supporters who visited the stand at the SSAA Shot Expo in Sydney at the end of June. 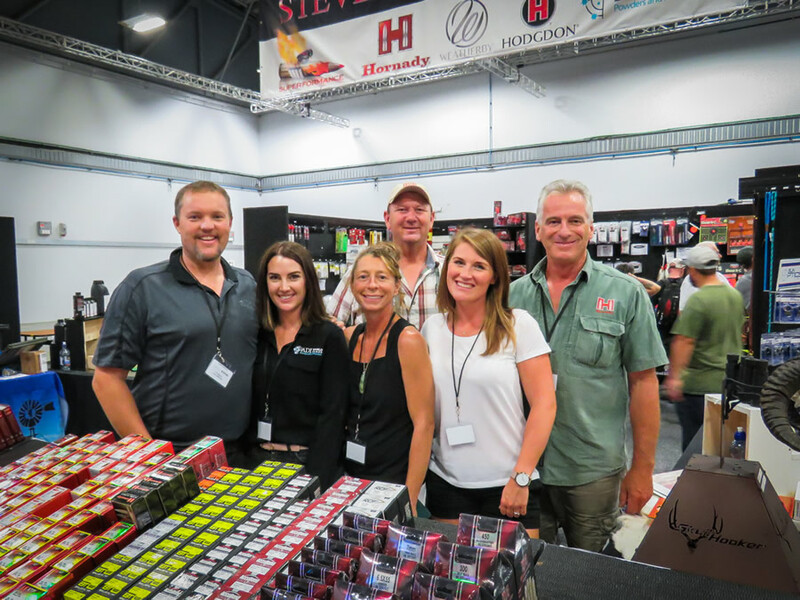 Australian Munitions, civilian firearms enthusiasts and professional hunters and shooters were among those that helped make the first ever Brisbane SSAA Shot Expo an astounding success. Like all Australian Munitions propellants, the powder used in our 300BLK cartridges features Ballistic Temperature Independence (BTI); a unique major advantage ensuring consistent pressure and velocity – whatever the weather. Used in our factory loaded 300BLK, it is also extremely clean burning, keeping your AR style weapon’s action cleaner for longer. Our guys in white coats have developed a new line of ammunition that leaves your barrel at the same high velocity at extreme temperature ranges. No matter if it’s scorching hot or freezing cold, Australian Outback ammunition delivers consistent extreme high velocity and ultra-reliability you demand in all shooting circumstances. For the technically minded, it’s called Ballistic Temperature Independence (BTI). 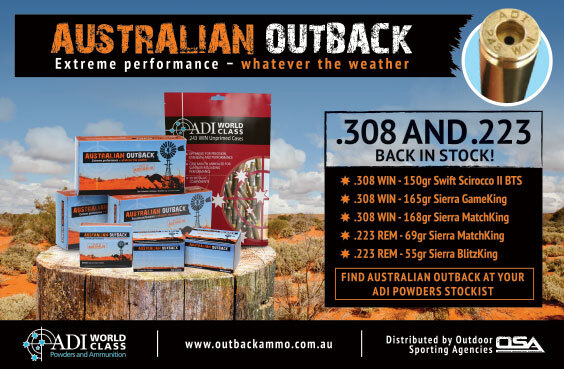 But all you really need to know is Australian Outback ammunition will never let you down.